Join Enrico, an IFMGA mountain guide and expert in the North Faces in the Alps, on this Matterhorn ascent via its North Face. A 3-day mountaineering trip you will probably never forget. 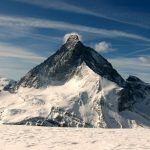 Please join me for one of the most challenging mountaineering adventures in the Alps, the ascent of Matterhorn via its North Face. 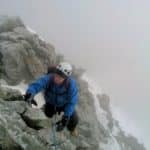 A 3-day climbing tour I particularly enjoy guiding because of its technical aspects. 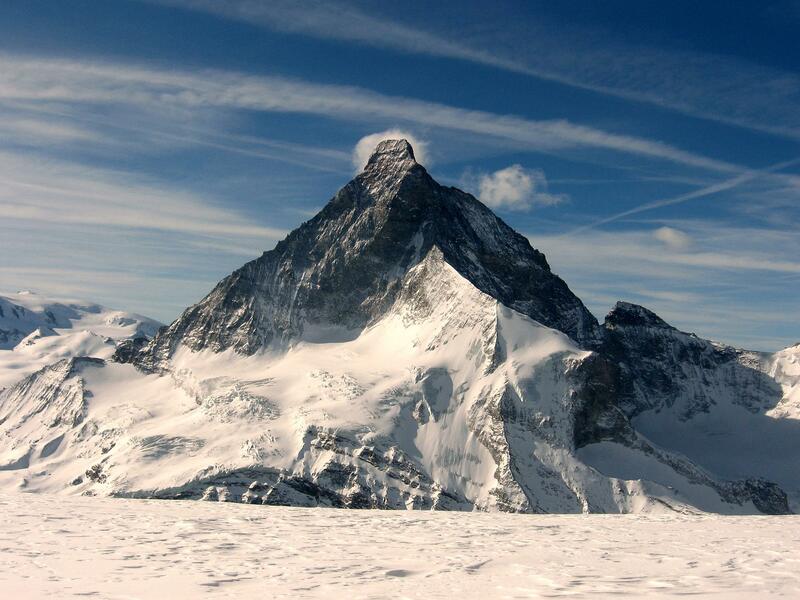 As you probably know, the Matterhorn lies on the border between Switzerland and Italy. Also known as Monte Cervino, it is probably the most famous mountain in the Alps. This is probably due to its spectacular pyramidal shape. It is 4,478 meters high and it is the 5th highest summit of the Alps. I enjoy technical routes very much. Therefore, I like bringing my friends and clients on such a challenging ascent. 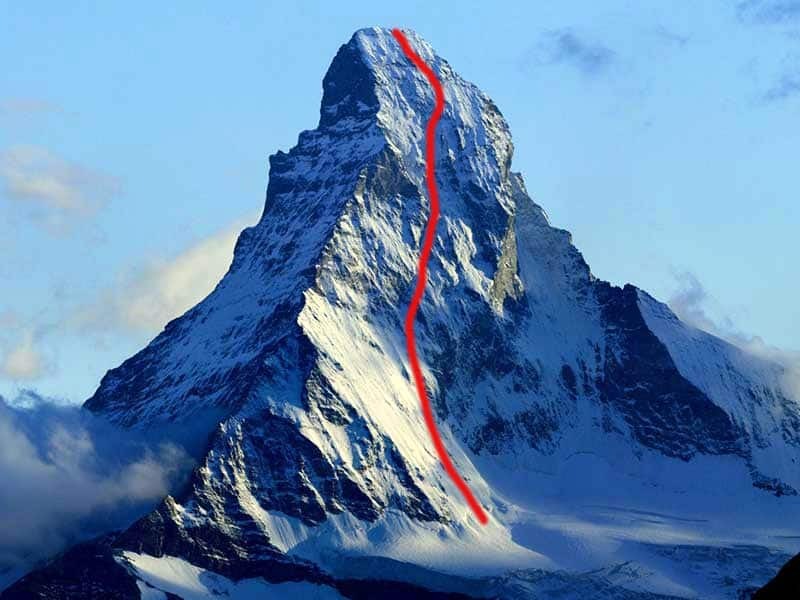 The North Face of Matterhorn consists of a 1,200-meter wall. For safety reasons, it can only be climbed in Spring and Autumn. For the descent, we will go through the north-eastern ridge (the Hörnli Ridge). We will pass by the Solvay hut where we will spend our second night, just after reaching the summit. For such kind of ascents, I only guide clients that I know. That’s why if you are interested to come with me, we will do one or two technical ascents beforehand. This will allow us to get to know each other and for me to assess your climbing level. We need our team to work perfectly together during the climb. This will guarantee good safety and higher chance of success. For the preparation, we might climb routes such as Aiguille Verte, Supercouloir du Tacul, or some gullies on the north face of the Aiuguille du Midi, ect. The preparation climb is mandatory for climbing together the big faces of the Alps and it’s not included in the price. Minimum of 3 days prep-course not necessarily done during the same trip as the main goal. Please, check out this North Faces of the Alps 4-day training program. 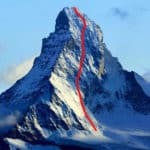 Please send me a request if you are interested in climbing the North Face of Matterhorn. I’ll be glad to guide you there and allow you to live a unique mountaineering experience! 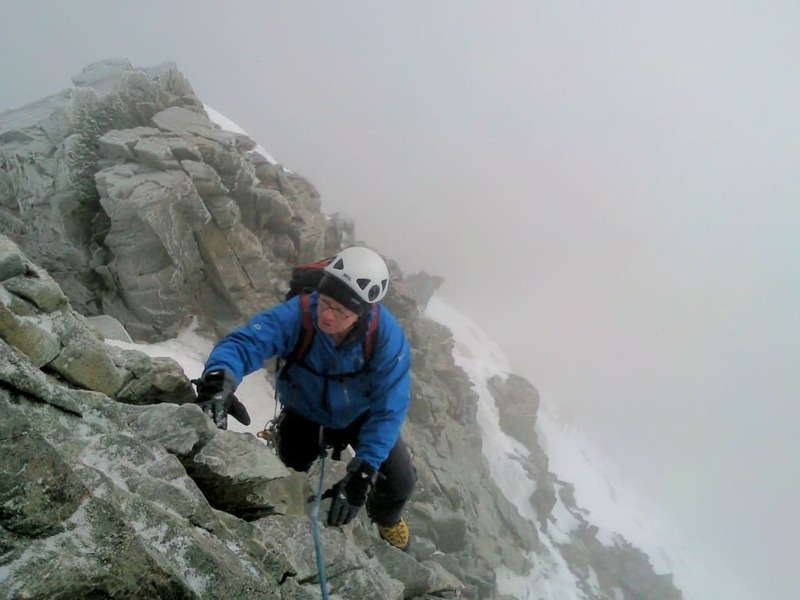 We can also go for other technical ascents like the North Face of Eiger or the ascent of Les Grandes Jorasses. If you’d like to know more about great north faces of the Alps, check out this article! The price does NOT include lodging, meals, and/or transportation for both clients and the guide. We will hike from Zermatt to the Honly mountain hut where we will spend our first night. We will climb Matterhorn North Face and stay at the Solvay hut on our way down. On the 3rd day, we will climb down and hike till Zermatt where we will celebrate our adventure ! My biggest satisfaction is to explore new places, and share it with a rope-mate. And to do it as a professional is the realization of a dream. At the age of 15, I knew I wanted to become a mountain guide, I wanted to live in the mountains, teach and share my new passion. 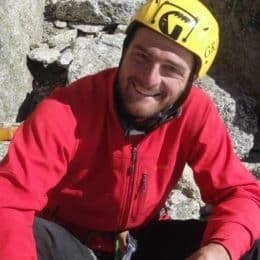 In 2006 I realized my dream and I became a professional mountain guide. I like sharing my knowledge and experience with my clients, taking a journey that transforms slowly the guide-client relationship in climbing partner and often in friendship. I am not and never will be a lone climber but "a company" 'explorer. My specialty lies certainly in climbing on ice and mixed in the high mountains. With my clients I climbed the most difficult faces in the Alps, explored mountain ranges, traveled between America, Asia, Africa, and Europe.